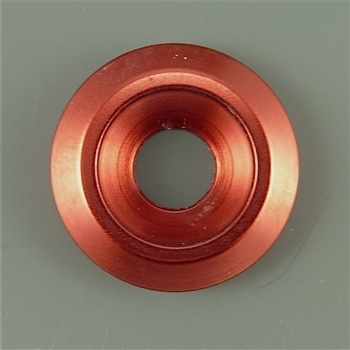 Anodized aluminum custom motorcycle countersunk washer, 25mm outer diameter, 8mm diameter hole. Great for bezeling. Fabulous metallic red color.